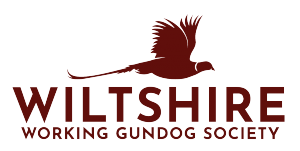 A great end to the Spring/Summer Gundog Training series and Wiltshire Working Gundog Society won! Oh what a night! 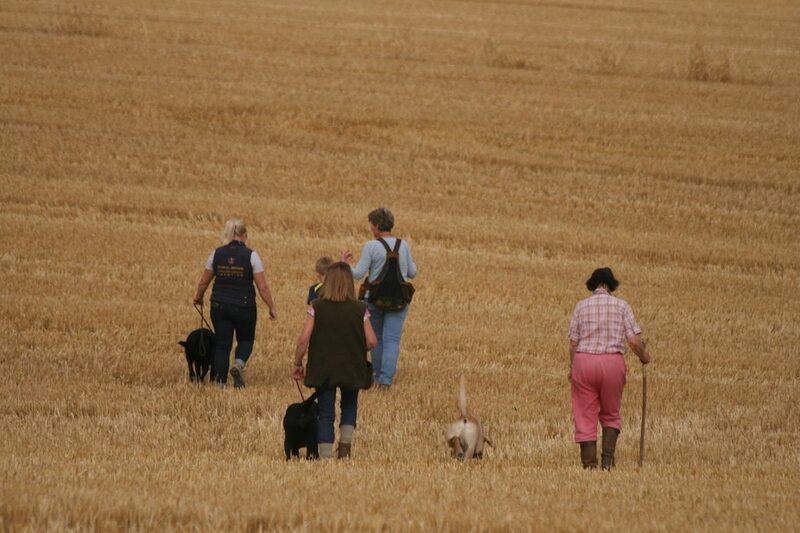 We met at 6.45 pm as usual but this time were joined by The Dorset Working Spaniel Club for some Inter-Club fun and friendly tests. 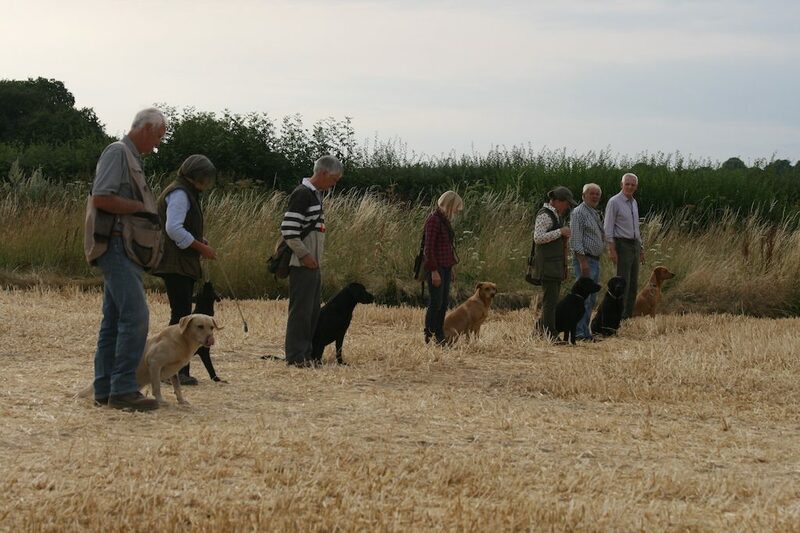 Splitting into our usual groups – Puppies, Intermediate and Advanced. We then took turns undertaking mini test situations. For example doing blinds, retrieves, hunting and stopping to the whistle. The trainers then marked each dog with a score. The lowest and highest scores for each club were then taken into consideration to decide the winning club. And very excitingly – Wiltshire came out on top – and won! The final score 113/105 to Wiltshire! Trainers unanimously agreed that all had improved hugely during the summer training series. The shield was handed to Wiltshire and a lovely meal at The Smithy was enjoyed by all. A great end to the training series. Not only did people learn a lot but also great friends were made. “We had a lovely evening last night. I was not sure whether it was going to be hot and sunny or cloudy and breezy; as it was we had a little of everything. With the generosity of Lord Margadale, Mick and Sharon Lewis we were able to use a large stubble field for our last training. A lot of talk of the partridge season was mentioned as a result.. Sadly this was our last training session and we only had one Open person turn up. Luckily she was happy to join the Novice, which we again split. Nick Coates had a group, as did Ken Green and a lot seemed to be covered. Every time I have been to watch all our training groups, I have learnt something new and useful to take home and I only had a camera with me! 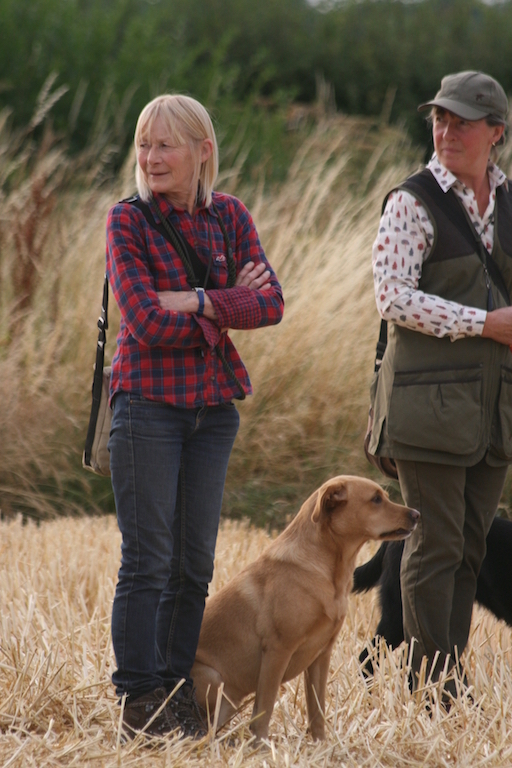 The puppies (and the owners) have learnt an awful lot about their owners (and their dogs) and seem ready and prepared to face the forthcoming shooting season ahead. The Novice were doing memory retrieves, blind retrieves and seen retrieves over some big distances and hopefully we will see a few of them at our Retriever Working Test this weekend. I would personally like to thank Mr Charles Fuller of Orchardleigh, Mr and Mrs Green of Horningsham and Lord Margadale of Fonthill for their generosity in lending us their ground for training on; and our Trainers, Nick Coates, Ken Green and Lucy Arnold, for being so wonderful and turning up every other Wednesday to teach all our willing victims. Their training is invaluable and their generosity endless. The evening wouldn’t be the same without someone to throw dummies and my thanks goes to Sharon Lewis and my lovely husband, who has not only put up with the late evenings, but has helped to throw dummies and been very determined to make sure we show our support to this wonderful Club. We will, I am sure, start our training in April around the same time next year, information of which will be forthcoming towards the end of the year. In the meantime I wish you all a wonderful shooting season and look forward to seeing you when we start all over again. Please look out for our training dates and until then have fun and see you next year.